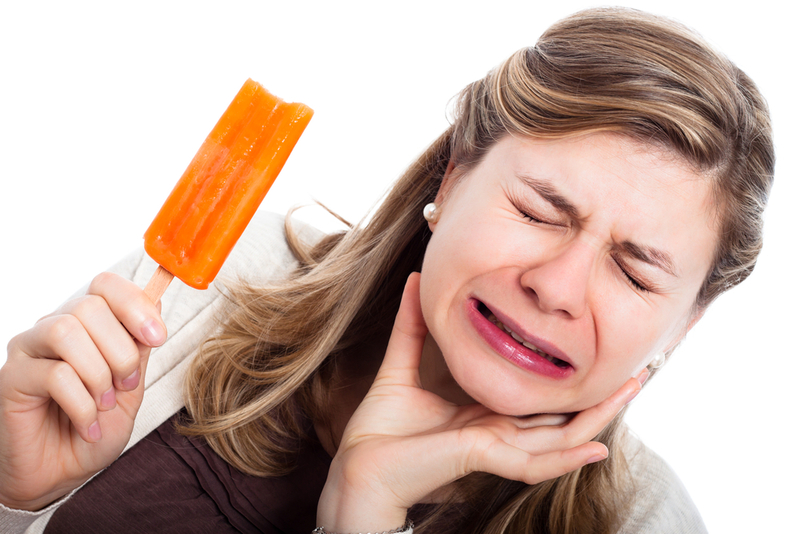 Does eating or drinking hot or cold foods cause pain in your tooth/teeth? There are things you can do to lessen or end this discomfort. Worn tooth enamel from using a hard toothbrush and using a hard grip while brushing aggressively. Dr. Adams’s patients are given a soft toothbrush with proper brushing instructions at each dental cleaning and exam. Tooth decay, worn leaky fillings, cracked or broken teeth expose the dentin of your teeth. Plaque build-up can cause tooth enamel to wear away, creating cavities and sensitivity. As fillings age they can weaken and crack around the edges allowing bacteria to cause enamel breakdown. Dr. Adams will evaluate and treat the sensitive tooth appropriately. Gum recession exposes the root of the tooth which is more susceptible to sensitivity. If over the counter tooth sensitivity pastes are not effective, Dr. Adams will give the patient a prescription strength toothpaste for sensitive teeth. Added treatment may include placing a filling over the sensitive area of the tooth. Excessive grinding or clenching of your teeth can wear down enamel and expose the dentin that contain the hollow tubules that lead to the nerves. Grinding and clenching often cause jaw pain (TMJ pain) as well. A mouth guard can prevent the wearing away of the enamel and relax the jaw muscles. Dr. Adams will fabricate a mouth guard for you that will be custom fitted for your mouth.